2 GOLF CARTS AND BEACH CHAIR SERVICE!! This beautiful 3 bedroom home has been recently updated with new furniture and more! There are 3 queen beds, 2 bathrooms, big nice kitchen and a great front porch! 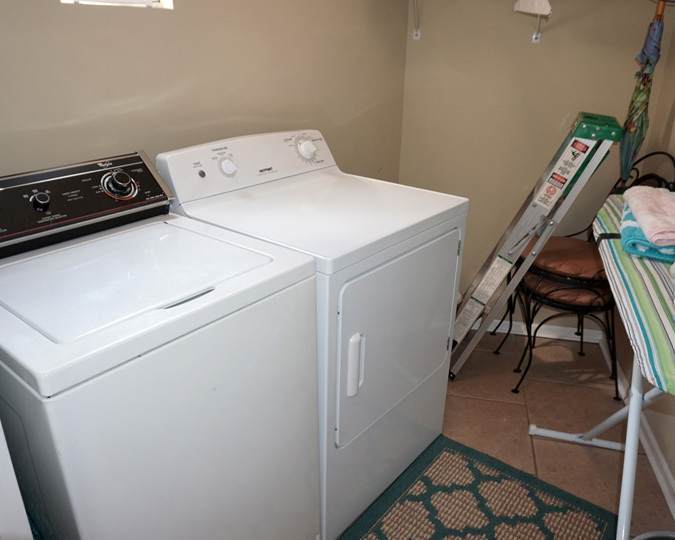 There is a dishwasher and a washer/dryer. Take the golf cart around all of the Venture Out amenities. ................................................................On the calendar, if it is white it is booked, if it is gray or peach it is available.